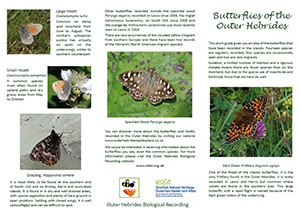 Recording common species is as important as looking for rare and new species and our series of leaflets on easy to identify species are designed to encourage visitors and residents to report their observations. 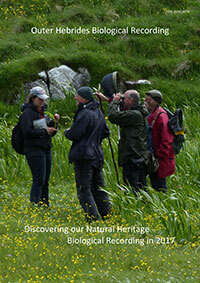 The leaflets are produced as part of the Natural Hebrides project, supported by Scottish Natural Heritage, to help connect more people with their natural environment. Leaflets are available from tourist information offices, libraries, museums and in some cafes and hotels, and can be down-loaded from this page.